Talk of genetically engineered organisms (GEOs) has moved from the hushed corridors of life science corporations to the front pages of the world’s major newspapers. As Europeans began rejecting genetically engineered foods in the marketplace, the StarLink corn incident exploded in the United States and farmers set fire to genetically modified crops in India. Citizens and consumers have become increasingly aware of and troubled by the issues surrounding these new technologies. 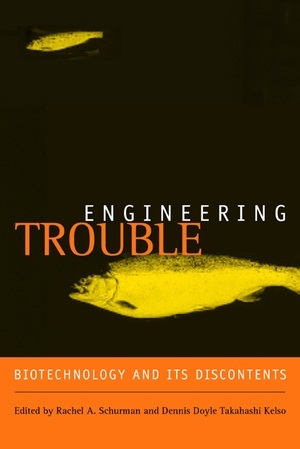 Considering cases from agriculture, food, forestry, and pharmaceuticals, this book examines some of the most pressing questions raised by genetic engineering. What determines whether GEOs enter the food supply, and how are such decisions being made? How is the biotechnology industry using its power to reshape food, fiber, and pharmaceutical production, and how are citizen-activists challenging these initiatives? And what are the social and political consequences of global differences over GEOs? Rachel A. Schurman is Assistant Professor of Sociology at the University of Illinois, Champaign-Urbana. She is the coauthor of Taking Population Seriously (1988) and Betraying the National Interest (1987). Dennis Doyle Takahashi Kelso is Assistant Professor of Environmental Studies at the University of California, Santa Cruz. 6. The Global Politics of GEOs: The Achilles’ Heel of the Globalization Regime?